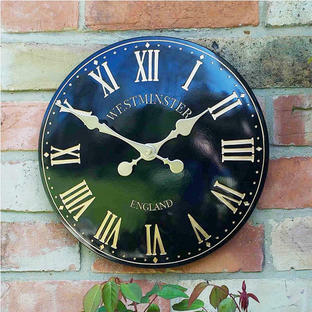 Attractive outdoor clock, with antiqued look frame. 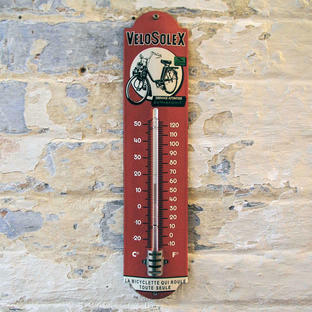 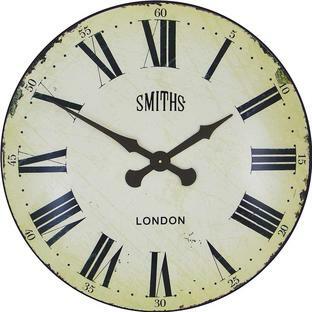 The clock shows the time in Roman numerals, and also has temperature and humidity gauges. As with all outdoor clocks, locate them in more sheltered areas of the garden if possible. 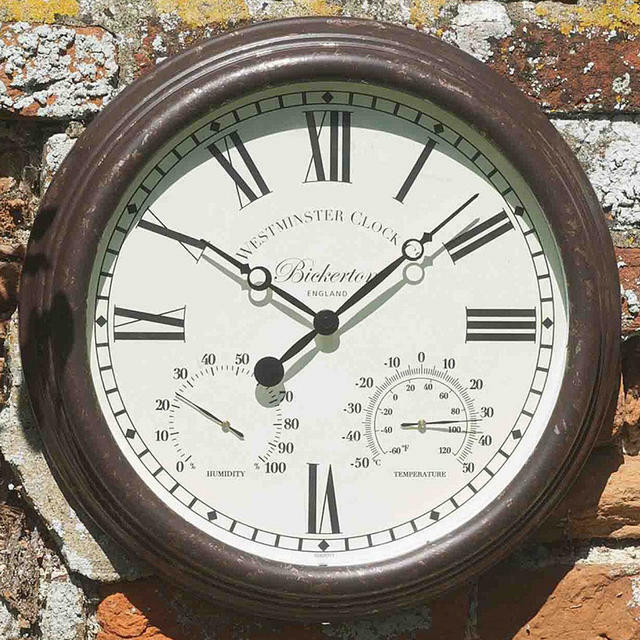 Please note, as with any thermometer, if you are looking to see accurate temperatures (which are normally measured in the shade) do not locate on a south facing wall, as it gets the full glare from the midday sun.